Have you ever asked yourself, are my providers providing? 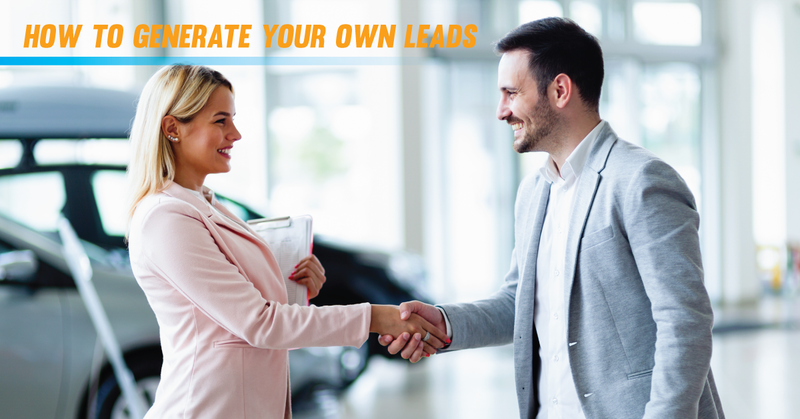 Today, many car dealers want to know the first step to generating their own leads. 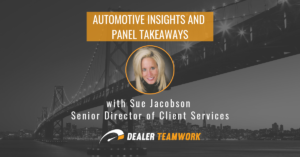 To begin, dealerships need to audit their current tools and suppliers to ensure they are maximizing their indexing capabilities. The next logical question to ask is, how do you measure the success of your lead generation? Successful lead generation is built up of cost, conversion and ultimately sales, which equals ROI. Mastering lead generation is no easy feat, so it’s no wonder specialized third-party lead generation companies sprouted and dominated with the dawn of the Internet. There was a demand, so naturally, companies grew to fulfill that demand. 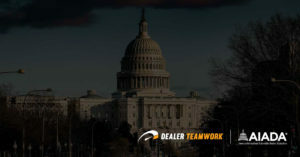 Third-party lead providers may have their place in an automotive strategy, but when dealers put all of their lead generation “eggs” in the third-party “basket”, they are gambling with their livelihood. If dealerships hope to survive and thrive in the modern world, they must audit who they work with, how they are generating leads and ultimately at what cost. First list out your providers, then the cost and finally what each provider generated. This will tell you which vendors to cut or limit. This leads you to one of two conclusions – it either generated a positive or negative ROI. Optimize your website to rank highly in search and for positive user experience. Structure your campaigns and segment your message to meet shoppers every step of the customer journey. Coordinate messaging across all marketing channels. 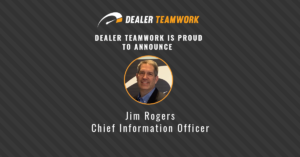 This begs one more question – if lead generation is so crucial to the measure of success, why do so many dealers feel content allowing third parties to control their destiny at ridiculously low ROIs? Today, let’s focus on the first leg of this journey: optimizing your website. If you want to generate your own leads, you need to get people to your website. To draw more shoppers into your website, you need to set your website up to rank highly in search and set it up for a positive experience for shoppers. Gone are the days of trying to trick search engines to rank higher with keyword stuffing and black hat SEO tactics. Now are the days of practicing white hat SEO, meaning emphasizing a positive experience for humans will result in better performance on search engines. How is this possible you ask? It’s possible because search engine algorithms are more sophisticated and can better mimic the human evaluation process of deciding if the content is quality, relevant and if it answers the searcher’s questions. This was achieved because search engines, like Google, used real people’s actions of manually evaluating the search process to dictate which content was high or low quality. Then they implemented machine learning to imitate that behavior, so their algorithms could evaluate search as close to human evaluation method as possible. 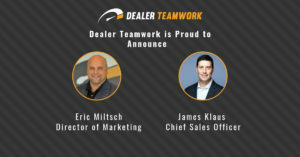 What does this mean for dealers? It means you structure your site for success so that it can be interpreted by search engines and indexed properly to rank highly in search. This includes making your site easy to navigate, mapping that navigation to your customer’s journey to buy a vehicle, building out better landing pages according to the “one page, one purpose” principle and giving consumers more information to get their questions answered faster. When it comes to optimizations, the fewer clicks the better, so make it easy for people to find information on your site. Make it easy for shoppers to contact you when they are ready with strong and easy-to-complete calls to actions. What’s more, make sure you always have the most up-to-date and relevant content live or you break digital trust. Think of the customer journey like a funnel. High funnel being the beginning of the journey and low funnel being the end. High funnel shoppers are trying to decide what type of vehicle will suit their needs by researching body styles, brands, and vehicle features. Mid-funnel shoppers have narrowed their search to the few vehicles that best fit their needs and are comparing the features and cost of each. Low funnel shoppers have essentially chosen the exact vehicle they desire and are looking for where they can complete their purchase and purchase options they have by comparing dealerships and their offers. Then once they have found the vehicle and dealership that best fits their needs, that is when they physically venture into the store to make the purchase. Today, for most car shoppers, most of that research happens online. In fact, according to a 2017 Google study, shoppers tend to only visit one or two dealerships before making a purchase; this is down from five visits in 2005. Because much of this journey happens online, it is crucial to structure your website content to meet the needs of shoppers at each stage, and then mirror that experience in your ad campaigns. For high funnel shoppers, provide model specific and body style specific landing pages that showcase the breadth of your inventory and the features and differences of each vehicle. For mid-funnel shoppers, showcase the various trims of each vehicle model, penny-perfect pricing and cost difference of each. For low funnel shoppers, tell your story and why someone should choose your dealership over the one next door. Showcase your client testimonials, explain the financing and leasing process, showcase your trade-in programs, make it easy for shoppers to see what financing they qualify for, etc. Another thing to keep in mind throughout is that video has a place at each level and helps convert more shoppers along the way. Modern car shoppers want to feel confident in their purchase decision and they want to feel educated on the entire process. Don’t require someone to submit a lead form or call you to find basic but essential car buying information like your current offers and pricing of vehicles. Modern shoppers want to find this information themselves before engaging with the dealership. Modern merchandising is critical here for your success. Do your ads show up? What position? Was it relevant to your search? Did it have Ad Extensions? Does your website show up in organic search and is the result appealing to your search intent? When you get to your website, does the landing page match the content of the ad and further answer your original search intent? Was the pricing a penny-perfect match from ad to landing page? Is it easy to compare vehicles and can you find the transactional information you need to make an informed purchase? Hint, that means more than MSRP. MSRP is important to have, but few people pay for a vehicle in full over financing or leasing. Is it easy to get to know your dealership and learn more about what will happen when the shopper goes into the store to make the purchase? Is it easy to contact you? Try filling out your form or chatting with your dealership. How long does it take for someone to respond and do they give you a thorough enough answer? Do this regularly to find bottlenecks in the process so you can reduce your waste and improve your optimization process. If you don’t find your current process pleasant, neither will the shopper, and you will lose them. For a deeper dive and real-life examples on each of the legs of the journey to generate your own leads, don’t miss my DrivingSales Executive Summit session with Firas Makhlouf from Driver’s Village Automotive Group on Mastering Modern-Day Lead Generation, 10/23/18 at 9:50 am in Las Vegas, NV.